Madison is home to the University of Wisconsin Badgers, the perfect place to be on game day! From football at Camp Randall to basketball at the Kohl Center and so many sports in-between, taking in a Badgers sporting event is a must-do when you visit Madison. If your next itinerary includes game day, we&apos;d love to help you with arrangements for an amazing Badger weekend. On, Wisconsin! Get your tickets to a UW Badgers game! Before you "Jump Around" or experience the famous "5th Quarter," check out the Camp Randall Fan Guide to find out information on parking, shuttles, carry-in policies and more. Looking for a place to go before a Badger football game? Check out the Badger Bash at Union South or Badgerville. Both are just steps away from the stadium and filled with game day entertainment, fans and traditional Wisconsin fare. Taking in a basketball or hockey game at the Kohl Center? Find out all the information you need to know in the Kohl Center Visitors Guide. 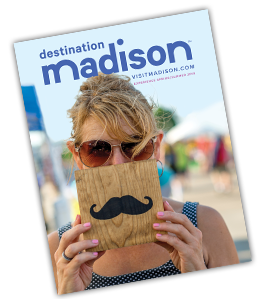 Let us help you navigate your way around Madison with Transportation Information and Maps. Learn where to park when you arrive for game day.